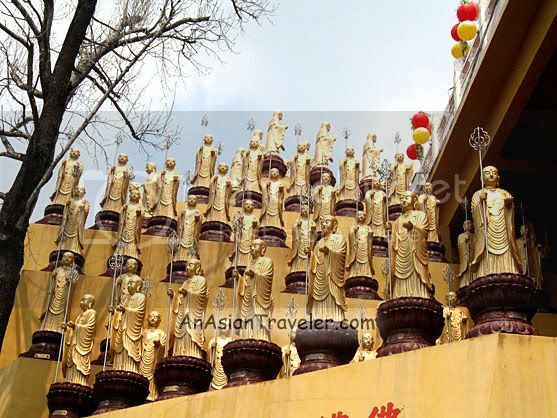 Fo Guang Shan Monastery was established in 1967 and the complex contains a number of temples. 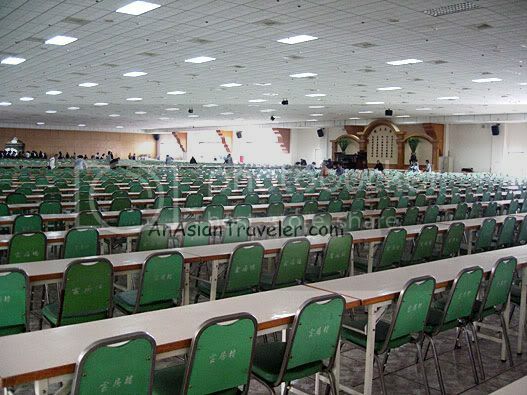 It also has a university, library, meditation center, museum, television station, and many more. 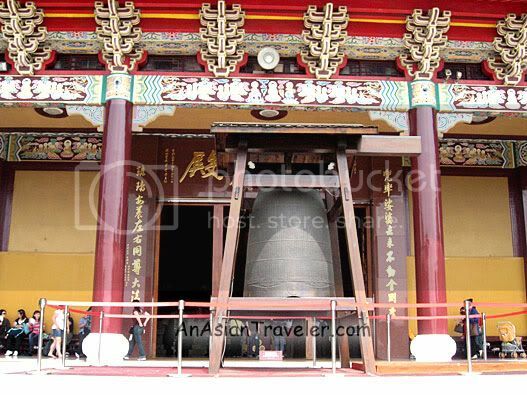 The Main Shrine covers a wide area of 3570 square meters, and is 30 meters in height. 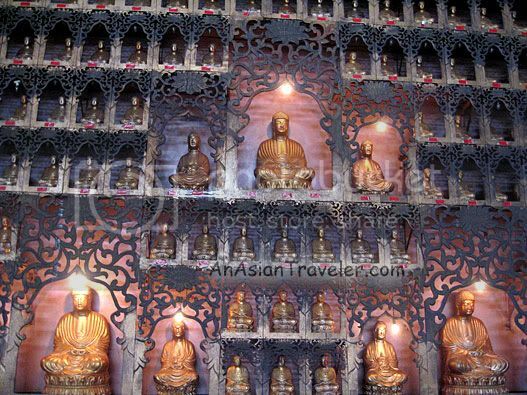 Enshrined within are three Buddha images, each of which is 7.8 meters high. 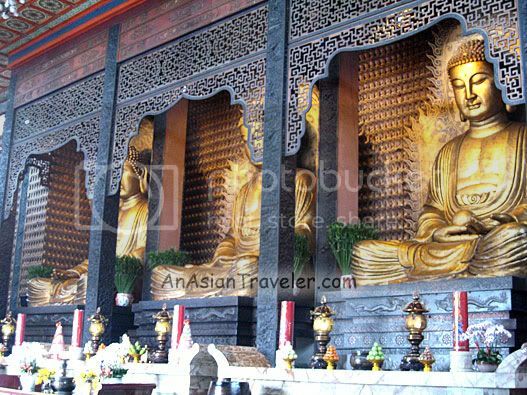 The interior four walls are filled with Dunhuang style stone niches enshrining 14800 smaller images of Sakyamuni Buddha. 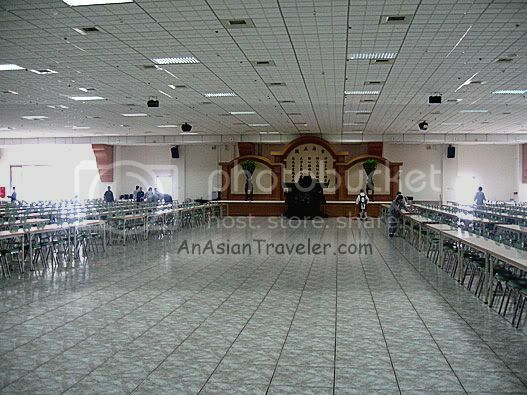 Meals is served at this huge dining hall. I'm amazed to know that food is provided here free of charge. However, guests have the choice to donate money that can help many good causes. 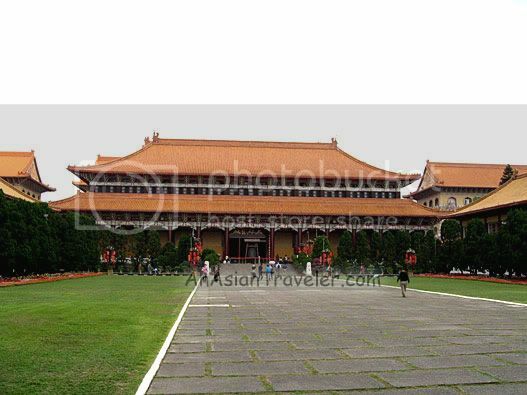 There's an ornately designed Lumbini Garden. 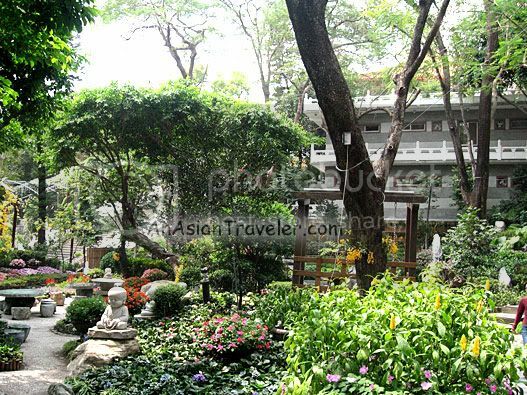 It has pretty flowers and plants that add beauty to the landscape. It is also dotted with chubby little Buddhas. 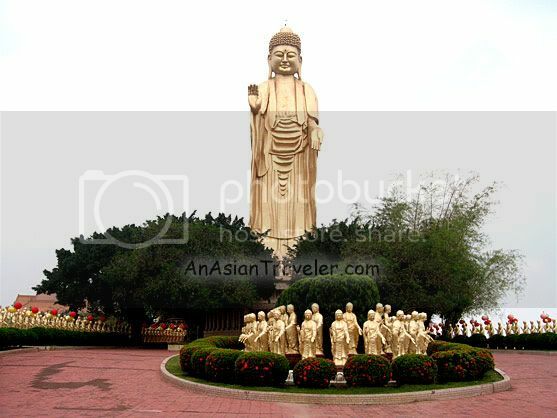 Our wandering led us to the Eastern side of Fo Guang Shan where we saw the most attention-grabbing landmark, the "Great Buddha Lands". 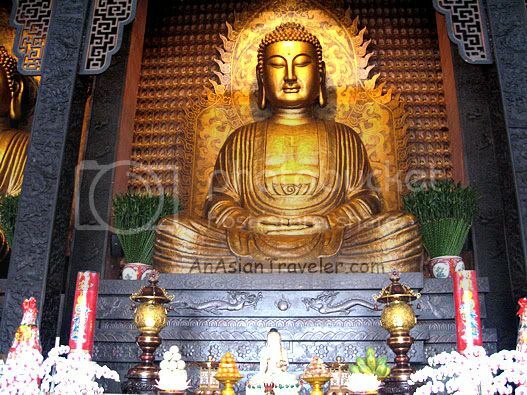 It has the highest standing golden Buddha in Southeast Asia with 36 meters in height. 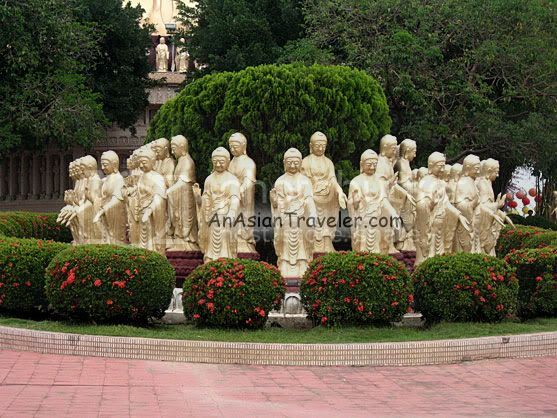 It is surrounded by 480 smaller statues of Buddhas. 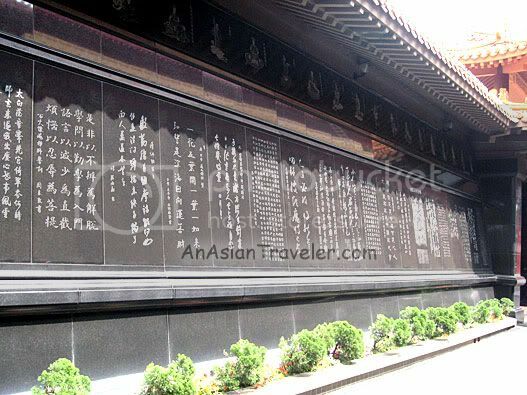 Near the Great Buddha land is the Great Vow Shrine. Outside the place of devotion are the many standing statues of Ksitigarbha Bodhisattva, holding a monk's staff in the right hand and a wish fulfilling pearl in the left. 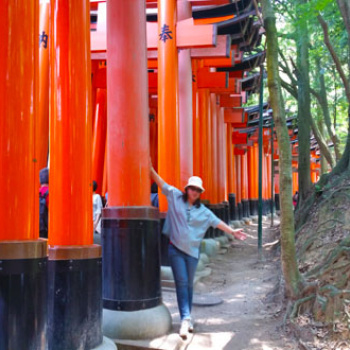 Our visit here was a great experience. Plus the natural beauty in this monastery is just astounding. 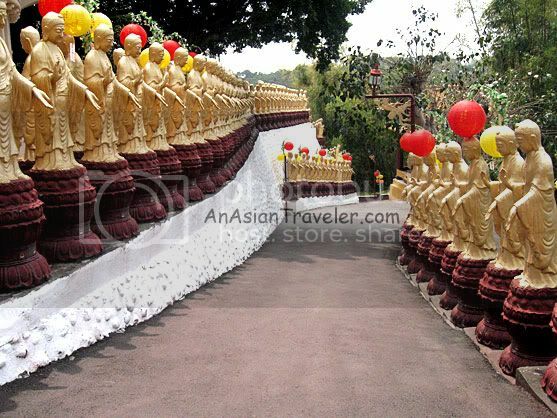 Fo Guang Shan Monastery is open to the public every day except Monday at 8:00 am to 5:00 pm. Food is served in the dining hall at 11:30 am to 12:00 pm. Please dress appropriately and modestly. Be sure not to wear tank tops, slippers, shorts or mini skirts. Visitors should refrain from bringing food and beverages onto the temple complex. 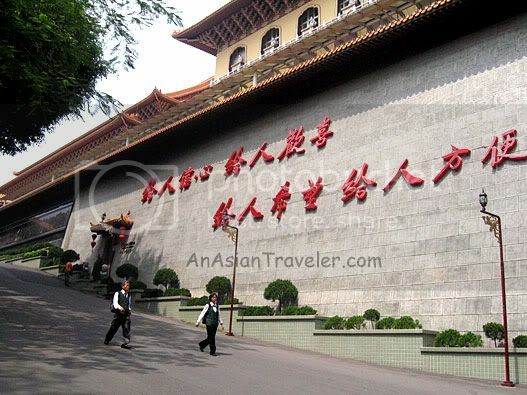 Fo Guang Shan is located at 153 Singtian Rd., Dashu Township, Kaohsiung County. 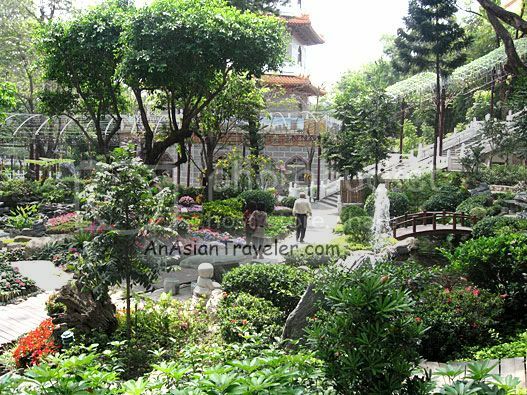 Note: This is the last part of a two-part article of Fo Guang Shan Monastery in Kaohsiung, Taiwan.